"Corkin's attention to political and sociological context leads him to provocative readings of key films." 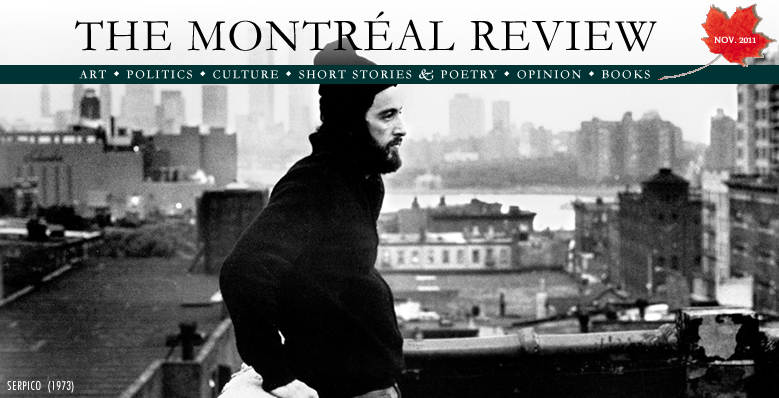 "For those who lived in New York in the 1970s and even more for those who are too young to recall those bad--or good--old days, Stanley Corkin shows a city poised on the cusp of gentrification and globalization. His re-reading of the era's most famous New York films documents the dissolution of the urban village of ethnic ties and the rise of the corporate city of finance and media. There's a lot to argue with in this book, but like the best action films, it will keep you on the edge of your seat." I began researching Starring New York before I finished my prior book, Cowboys as Cold Warriors. In that book I considered a group of film westerns in their relationships to U. S. Cold War culture and politics from the late 1940s to the early 1960s. As I developed that project, I saw how those narratives about the relationship between "the frontier" and a more fully elaborated nation to the east were applicable to the post-World War II geo-political vision of many powerful policy makers in the US; for example, John Kennedy employed the phrase, "The New Frontier" as a rubric defining both foreign and domestic programs. The study began to cohere in a satisfying way as I began reading historians of the U.S. who had employed Immanuel Wallerstein's World Systems Theory, such as Thomas McCormick of the University of Wisconsin in his ground-breaking study, America's Half-Century: United States Foreign Policy in the Cold War and After (The American Moment)(Johns Hopkins University Press, 1989 ). McCormick, among others, saw Wallerstein's vision, which defines geopolitics as a dynamic system involving more and less developed countries, articulating the relationships among the U. S., Europe and what was then known as the 'third world" in the post-World War Two era. In brief, Wallerstein defines interdependencies among nations that he categorizes as core, semi-peripheral, and peripheral in a global economic system, and those relationships, which are always shifting, are definitional for a type of international order. This model, for example, does away with the moral pieties of the Cold War and defines a non-ideological vision of U. S.-U. S. S. R relations. While this view of the world is subject to critique from a number of perspectives, it provided a powerful conceptual key for unlocking the metaphorical power of those narratives of development and civilization that are at the heart of film westerns. Eureka! : I had written a geographic analysis of Cold War westerns. But what I had really done was write a book about geography without being clear that I was doing so. As I worked in earnest on my New York films project, trying to find a center for a study that was about film, the local (New York) and global financial crisis of the 1970s, and the ways in which those things had something to do with the emergence of a system of trade we know as "globalization" in the 1980s. While puzzling over this, I ran into Neil Smith's excellent study of the geographer Isaiah Bowman, titled American Empire: Roosevelt's Geographer and the Prelude to Globalization (University of California Press, 2004). Smith's study stops before mine begins. Bowman died in 1950; though, as Smith argues, his impact far outlives him. But for me, as I read this book that retold the story of U.S. foreign policy-one I knew quite well-I was rapt with the way in which this book showed me that narrative in a new way, provided me with a means to reconceive it explicitly as a story about geography and maps. At that point I fully realized that Cowboys as Cold Warriors was a book about relative geography: but I wished I had known this sooner! 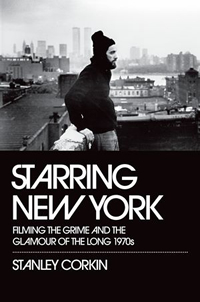 Starring New York: Filming the Grime and Glamour of the Long 1970s is a book about the intersections of U.S. cultural, urban, and economic history. Its methodological innovation is its treatment of the geography of film. Every film narrative, since that story is told with a substantial visual component, has its own system of spatial relations. In films with a realist inclination, that vision of space is, in effect, a distinctive map of the world. As I read further in geographical theory, I came to understand that all space is relative and that globalization is largely a spatial designation that has come to be understood as an economic system. How we bracket and define a district, a city, a region, a nation, and network is sometimes political and sometimes not. But it is always a matter of a series of contingencies that rely on how we conceive of the connections within and among those spaces. So, yes, New York is a city with boundaries; but its boundaries have shifted many times during its history, and the meaning of those boundaries is sometimes significant and sometimes moot. As one passes through Hollis, Queens to Elmont in Nassau County in the new York metro region, the distinction between Queens and Nassau counties is palpable. But those areas are less like Manhattan than Manhattan is like central London. That is, contemporary, gentrified Manhattan has more in common demographically and transactionally with The City of London, the financial district in that metropolis, than it does with its own outer boroughs. And indeed, this disjunction between conceptual and physical proximity is the core of the logic of globalization. An airline based in Atlanta sends a customer service call from, say, Decatur, Georgia to Chennai in order to track luggage lost in Birmingham. Since space is conceptually defined as a matter of understood proximity and relationship, I went looking for the concept of space as it played out visually. These films for me became, among other things, spatial maps of a world view. The more local tale this group of films told-twenty-one treated in some detail, many more referenced-was that of New York City's decline and rebirth. The middle year of my book is 1975, the year that the city defaulted on its bond payments. After that, as a number of commentators--David Harvey, Kim Moody, William Tabb, and John Mollenkopf-- have explained, it was remade as a test case for neo-liberal models of privatization and the transfer of wealth from those with less to those with more. This distinction as represented can be generally conveyed in short form: Woody Allen's New York of Annie Hall (1977) and Manhattan (1979) is not the same city as that of John Schlesinger's Midnight Cowboy (1969). In my analytical model, then, The French Connection (1971) is about world trade, and the relative proximity of Corsica, Marseilles, Brooklyn, and Manhattan. That great car chase in Brooklyn between Popeye Doyle in a "borrowed" car and an elevated train that holds a drug smuggler is about the demise of the public sphere, and the snarls that define intra-city movement. And those difficulties of traverse can be contrasted to the relative ease with which a boat from Marseilles-- which includes a car filled with uncut heroin-glides into the city's piers. Similarly, the trip from the small, local bank in Brooklyn where Sonny Wortzik, played by Al Pacino, had held his hostages in Dog Day Afternoon (1975) to JFK airport and then, presumably to "Algeria" (a la Eldridge Cleaver!) by jet shows us a vision of the world, however inarticulate, by this parochial New Yorker, and the way in which his narrowly defined city is already part of a world network and commerce. My goal, then, in this study is explicitly to detail the story that these films tell when aggregated and approached as part of a series of related commentaries on the city and the world. And in my understanding, that narrative has a powerful spatial component. But I am also interested in readers re-thinking how they understand space and its visual representation. I hope to help readers, who may have an uncritical received concept of space, make that category more apparent. Stanley Corkin is Professor of English at the University of Cincinnati. He is the author of Realism and the Birth of the Modern United States: Film, Literature, and Culture and Cowboys as Cold Warriors: The Western and US History.